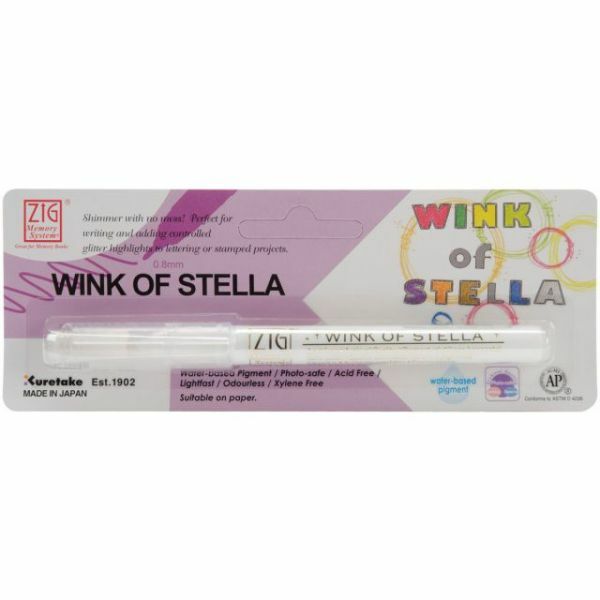 Zig Memory System Wink Of Stella Glitter Marker (Packaged) - KURETAKE-ZIG Wink of Stella Marker. Ideal for paper crafts and stamping projects because the ink is photo-safe, acid free and lightfast. Marker comes packaged. Available in a variety of colors: each sold separately. Conforms to ASTM D4236. Imported.